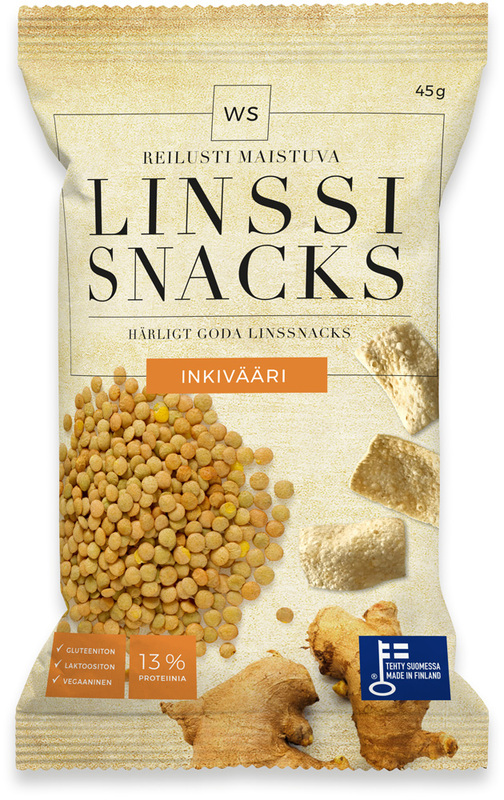 Ginger flavoured lentil snacks - Gluten free. Lactose free. Vegan. WS Ginger Flavoured Lentil snacks – SNACK IN GOOD CONSCIENCE! 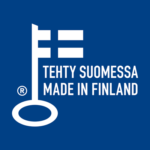 We prepare our deliciously crispy WS Ginger Flavoured lentil snacks at our family business in Kaskinen. The snacks are gluten-free and vegan-friendly. They contain more protein and less fat than traditional chips. They are great for snacking or even a heartier treat between meals. License to enjoy! Gluten free. Lactose free. Vegan. May contain small amounts of soy.